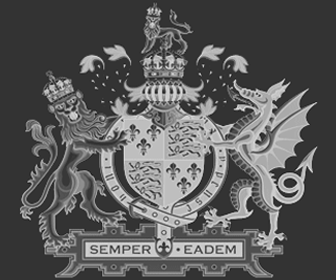 Family connections of Lady Jane Grey - Daughter of Henry Grey and Frances Brandon (the Duke and Duchess of Suffolk). 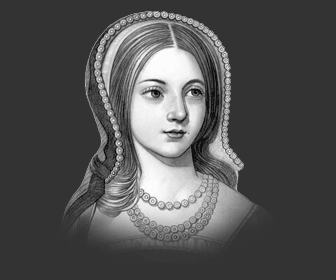 Her Mother Frances Brandon was the daughter of Mary Tudor ( Sister of Henry VIII ) Jane Grey was the granddaughter of Mary Tudor and great niece of King Henry VIII. Lady Jane Grey was Queen of England for just Nine Days from Monday 10th July 1553 to Wednesday 19th July 1553. King Edward VI was a devout Protestant and King Henry VIII's only son, died of tuberculosis and he left the throne to 'the Lady Jane and her heirs male.' Lady Jane Grey was the puppet of her ambitious parents and the powerful Dudley family. She was proclaimed Queen of England and the Protestant Queen Jane and her husband Guildford Dudley were taken in full state from Syon House to the Royal Apartments in the Tower of London. On 19th July 1553 Queen Jane was deposed as Queen, she raised no objection - the Catholic Princess Mary was the rightful heir. Lady Jane Grey and her husband were imprisoned in the Tower. On 12th February 1553 Lady Jane Grey and her husband Guildford Dudley were executed at the Tower of London. Lady Jane watched her husband go from the Beauchamp Tower to his death on Tower Hill, a few hours before her own execution on the Green. Jane's death warrant was signed by Queen Mary later known as 'Bloody Mary' for her persecution of Protestants. Lady Jane Grey was just 17 years old. Some interesting facts and biography information about the History, Life & Times of Lady Jane Grey. Additional details, facts, history and information about the famous Elizabethans and events in Elizabethan Times can be accessed via the Elizabethan Era Sitemap.